One of the most useful things that MBA schools teach is the ‘3 C model’. It’s a framework for defining strategy. And like most brilliant things, it’s good because it’s simple. At the intersection of these 3 Cs is a great marketing strategy. The idea is that at the intersection of a company’s strengths, a customer group’s needs and the competitors’ offerings lies the opportunity. wow, you have a great strategy. Of course real life is more complicated than that - but the framework works, you usually just add more detail. There are far more complicated and sophisticated strategy models, but this one cuts to the chase. For the work that Mezzanine does with small and mid-sized B2B companies, this model works very well. 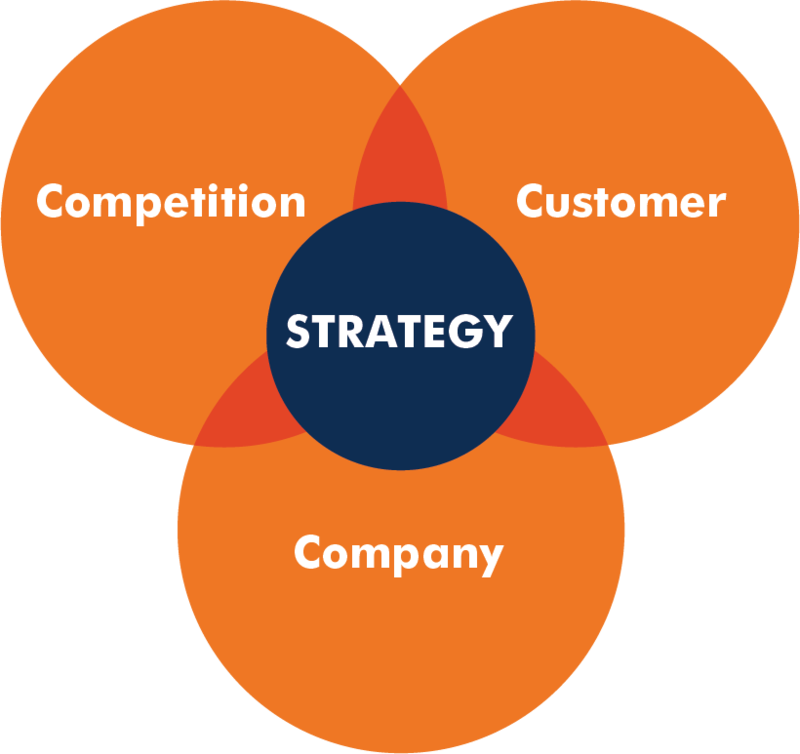 To use the 3C model to develop your company's marketing strategy, you'll gather information on each of the 3 Cs, and then analyze it to determine your strategy. Companies can do a workshop among management, sales and customer service to get answers to these questions. Who are the customers in the market? What are the needs of the various customers? It’s almost always helpful to get independent research about customers - even if you think you already know the answers. What are competitors not offering that your customers need? What can competitors not easily offer that you might offer? How do competitors go to market (sell, service, market) that does not connect well with customers?